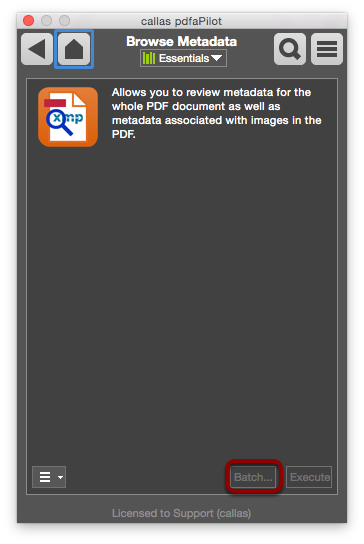 PDF documents can contain a variety of metadata. pdfaPilot allows you to view this information. Under the Metadata group, you will find the Browse metadata Action. Click on the symbol to open the Action. Click Execute to open a new Metadata Explorer dialog providing a complete overview of the metadata in the current document. 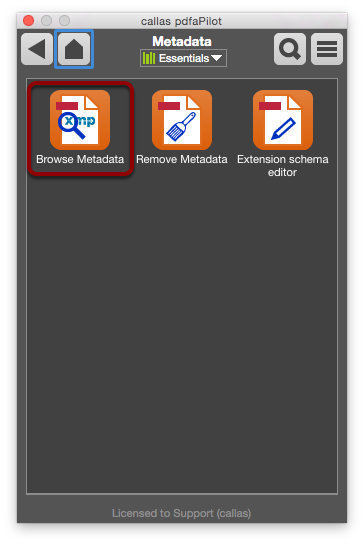 The Metadata Explorer can also be opened either using the “Metadata...” menu item in the Acrobat “File” menu, or using the “Explore Metadata” menu item in the plugin or the standalone version of the software. 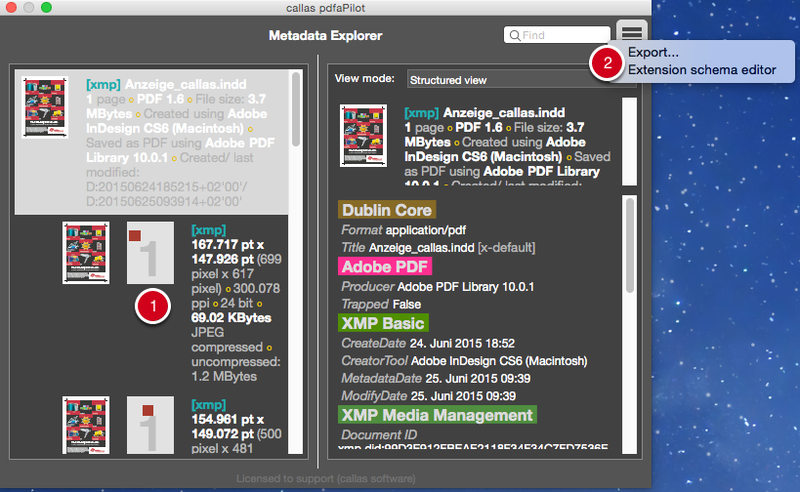 As well as the document's XMP metadata, the Metadata Explorer also shows metadata for individual page objects. It lists all objects, shows a small preview and indicates their position on the page. Metadata can be exported in the form of a configurable XML report. A detailed explanation of how to specify XML export settings can be found here: XMP Metadata Reports.